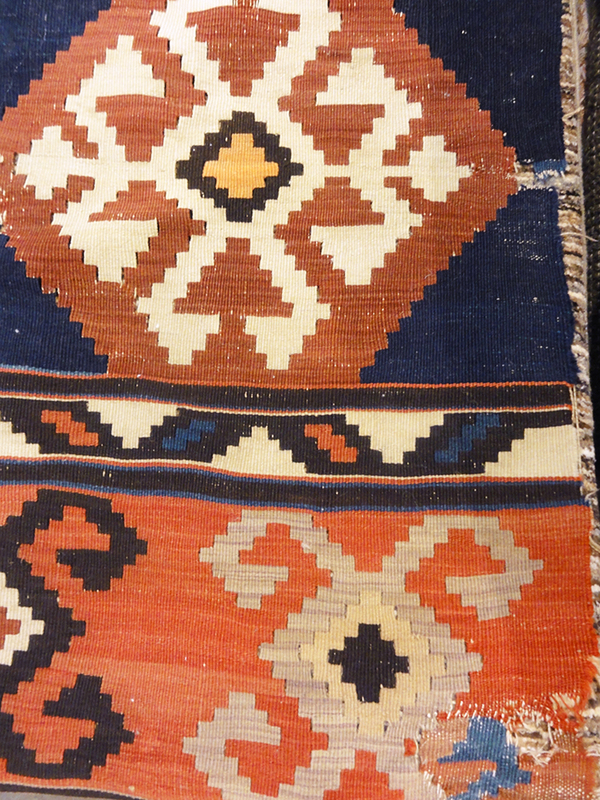 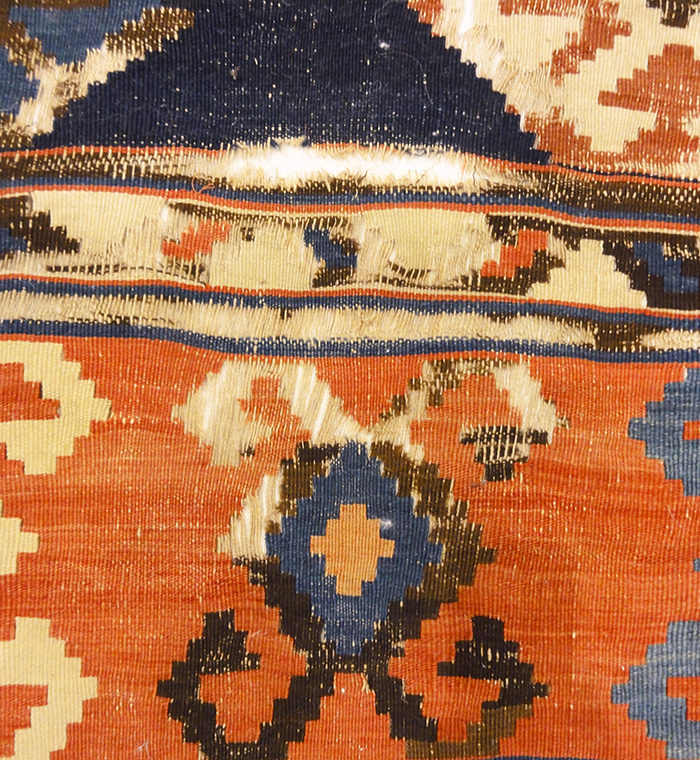 This bold piece would make a spectacular inclusion to any collection of antique rugs. 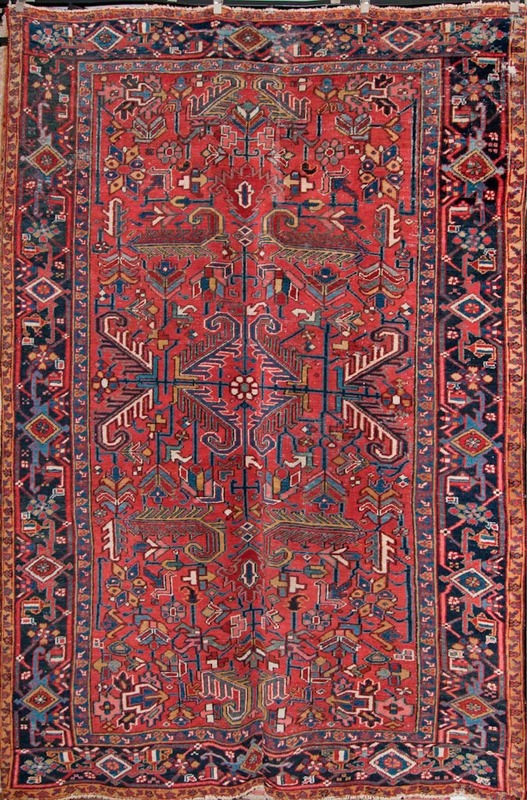 The colorful design and bold motifs would be stunning as a piece of wall art. 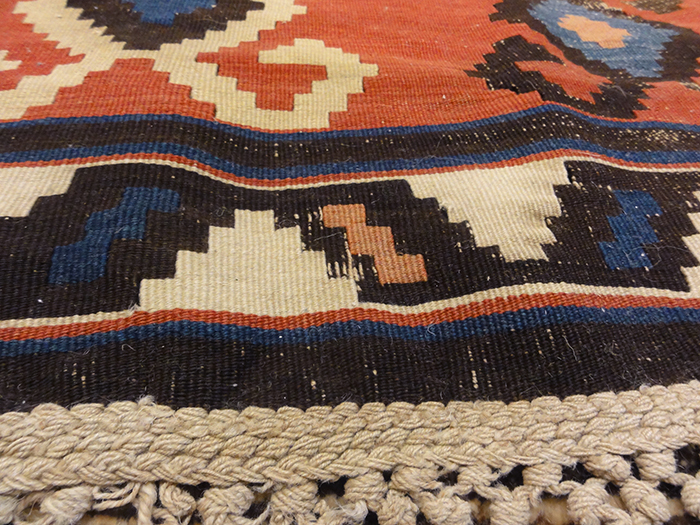 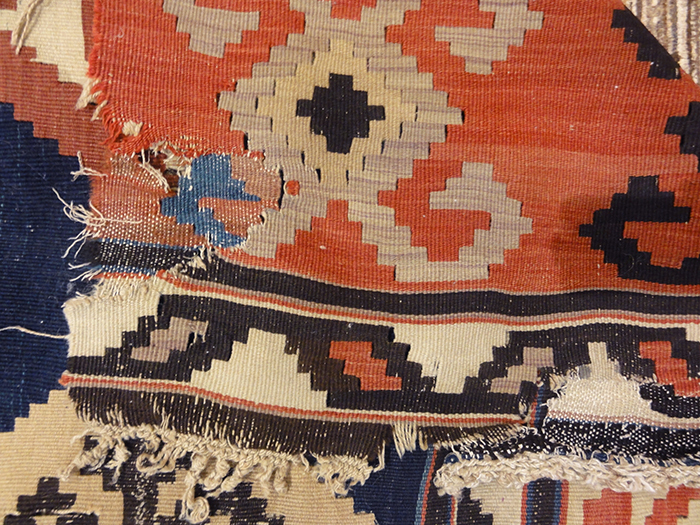 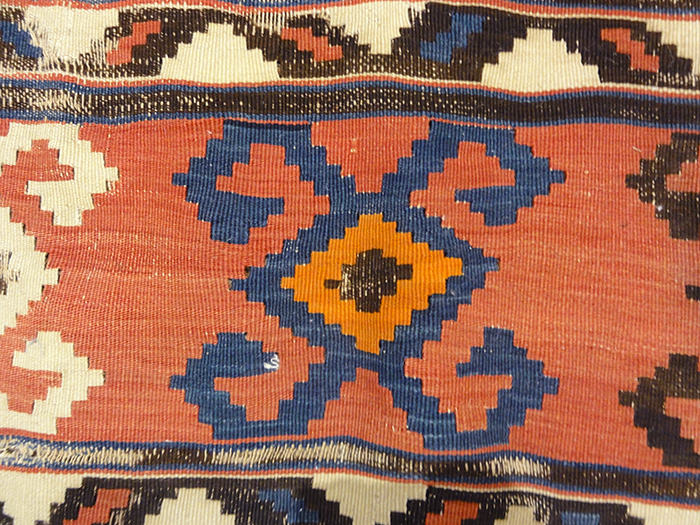 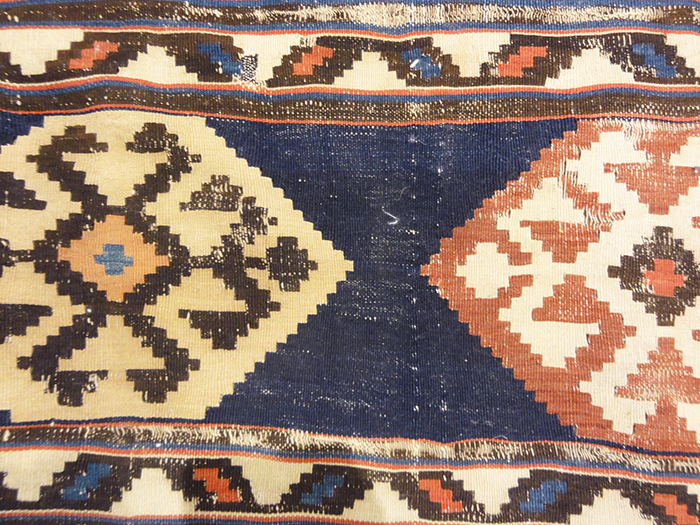 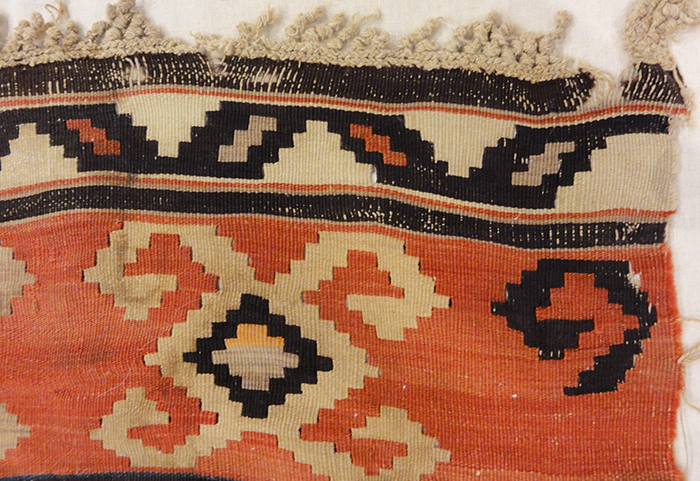 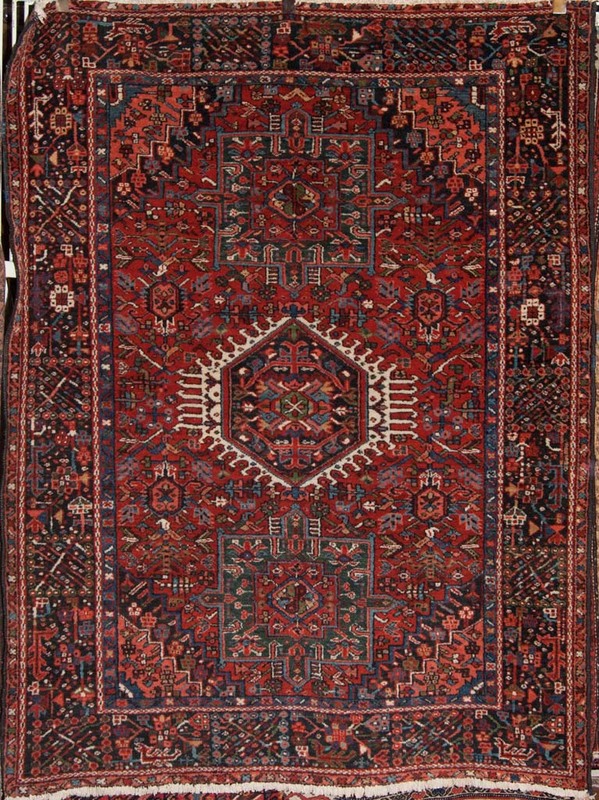 This Antique Shirvan Kelim was made in a town located just to the south of the Caucasus mountain range. 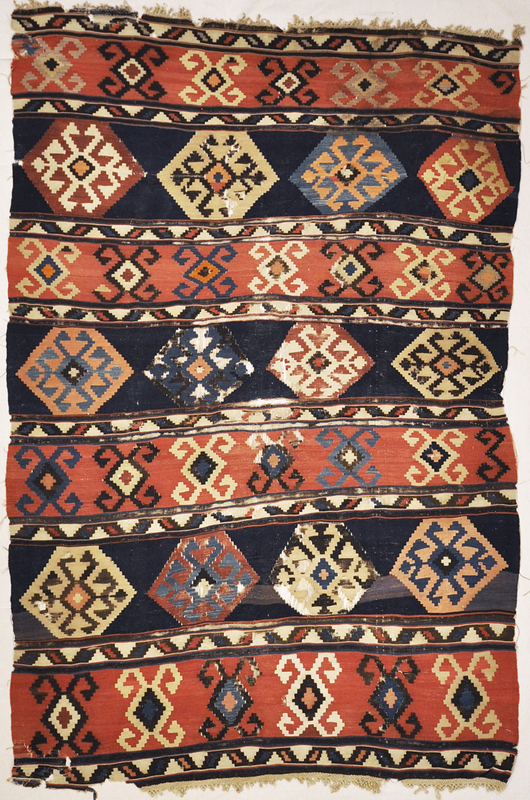 Early Shirvans are hard to come by and are rare. 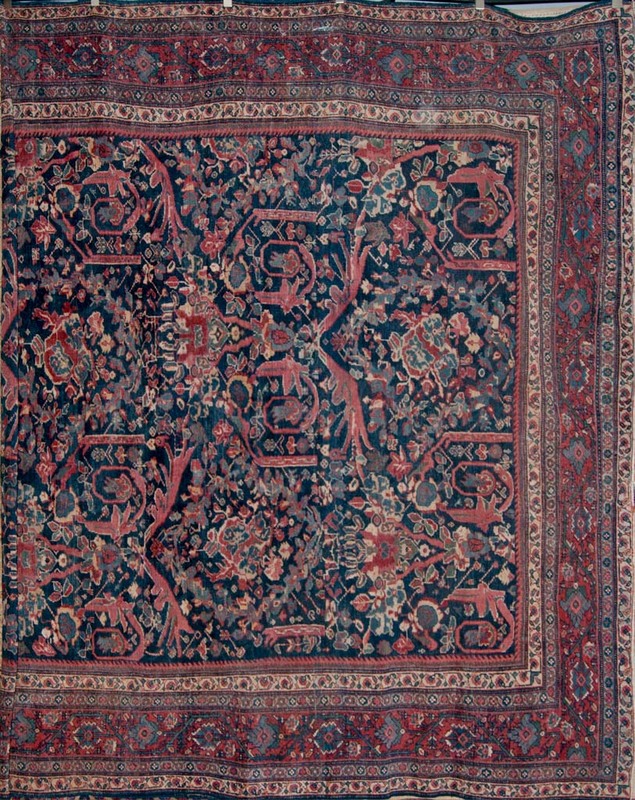 Blue is often the dominate color found in early Shirvans.